Technology companies like Facebook, Apple, Amazon, Netflix and Google — and the HBO network — are all expanding their offices in Los Angeles, eating up real estate as the age of streaming media continues to reshape the industry. Now, one of Hollywood’s oldest company’s is making a move of its own. As it approaches its centennial, Warner Bros. has struck a major deal in which it will purchase most of the 35-acre Burbank Studios property owned by Worthe Real Estate and Stockbridge Real Estate Funds. 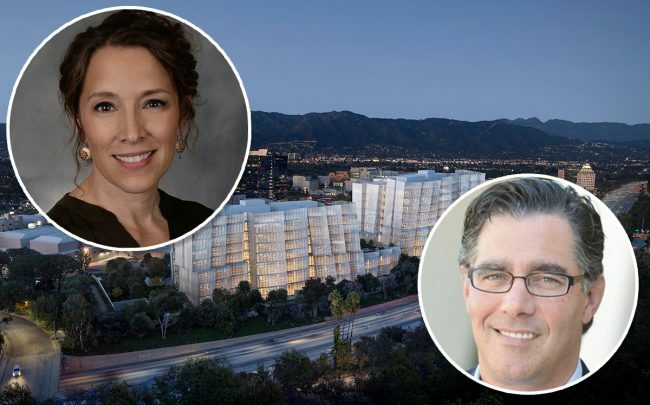 In an announcement on Monday, Warner Bros. said it will also expand into two Frank Gehry-designed buildings that Worthe and Stockbridge are developing on the remaining seven acres that Warner Bros. didn’t purchase. Worthe and Stockbridge will also purchase four Warner Bros. properties. They include the 30-acre Warner Bros. Ranch on Hollywood Way, as well as 4001 West Olive Avenue, 3903 West Olive Avenue and 111 N. Hollywood Way, according to the Times. Warner Bros. will lease those back till the new properties are completed. The total value of the deal is an estimated $1 billion, according to the Times. Groundbreaking for the 800,000-square-foot Gehry-designed complex is set for later this year, and completion scheduled for 2023. The complex will include a seven-story building and a nine-story building designed as stacked white boxes, in Gehry’s trademark style. The Pritzker prize-winning architect is also designing a hotel for Worthe in Santa Monica. Completion of the complex is set to coincide with Warner Bros. 100-year anniversary. The parties will close the sale for the Warner Bros. properties — the Ranch lot and the three office buildings — that year after Warner Bros. fully vacates and moves its operations over to Burbank Studios. Warner Bros. has solely occupied the Ranch property since the early 1990s, but it was first home to Columbia Pictures, which bought the land in 1934 and first developed it as a studio. Tenants at the Burbank Studios include the video game developer Blizzard Entertainment, which leases 54,000 square feet there.